Is it worth buying a repossessed car? There is a lot of sadness involved in vehicle repossession and most times car buyers are told to avoid these cars. However, some of the greatest steals can be found in a repossessed car, also referred to as “repo” or repo cars. Some of these cars are usually in a good condition and were well-taken care off but its owner was unable to afford it. So what does the purchasing of a repossessed car entail? When a person fails to keep up with their car payments then he/she puts themselves in the position of having their car taken from them. This is called vehicle repossession. Sometimes this process takes place without any forewarning. However, there are laws in place for amicable procedures. Repossession processes may differ slightly among different companies and countries. But it’s likely there is a clause in contracts that mention a car can be taken away without prior notice if the owner defaults on his/her loan. Common reasons this happens is due to late payments, a lack of car insurance and mismanagement of funds. The most damaging part of Vehicle Repossession is the effect it has on a person’s credit history report. There are only two things: the lender will keep it or sell it off. A repossessed car can be found at auctions, sold at financial institutions, auto brokerages and some other venues. A quality car can be found at a significantly reduced price. The repossessed car will be sold in a commercially reasonable manner and the lender will follow standard procedures. The lender may not obtain the highest price and might also claim for damages or a defence against deficiency. Once the car is sold and there’s still a balance on the car’s loan then the previous owner is still liable for what is outstanding. The vehicle financier/lender might also sue the previous owner to gain the deficiency balance. So, in essence, getting your vehicle repossessed doesn’t mean the owner will get away with the payment. What are the benefits of repossessed cars for sale? It’s common knowledge that the value of any vehicle decreases significantly once it’s driven off the showroom floor. However, the value of a repossessed car decreases much more slowly. If the car was well maintained, it would be able to sell at a price close its original purchase price. Also, if a repossessed car is relatively new, its service and warranties plans may still be intact. The chances are high in finding a good-quality vehicle at a low price. The only reason that these cars are found in these places is because the banks/financial institutions simply want to recover their money. Their aim is, not usually, to make a big profit. What are the drawbacks of repossessed cars for sale? On the downside, with a repossessed car you may not be able to find the car’s history. It’s likely that you won’t get to know where the car was before it was purchased and this usually turns buyers away. But a massive saving could be had on a vehicle that’s in good condition. You purchase “as is”. One or two days before, and also an hour or two prior to the commencement of an auction, there will be viewing of available cars. During that time, you do a visual assessment of the car and decide whether it is worth it or not. It’s always best to a take a knowledgeable car person with you to the viewing days for them to assist you to inspect a car. Part of the “as is”, is that you cannot test drive any of the vehicles on auction and this may be the biggest disadvantage. However, this is because the bank/financier is trying to get the money back for this vehicle and cannot risk the car being involved in an accident. There are many vehicle experts and experienced car dealers at an auction, but don’t be intimidated. Research your market values, inspect the cars, get Vehicle History Reports (via its VIN or reg number) and be confident in your bid. Just don’t overbid, as it is a common error amongst amateurs. Keep your budget in mind well before the auction as the excitement of bidding can distract you from that. And don’t be disheartened if you can’t afford the going rate as there are plenty of auctions that occur. 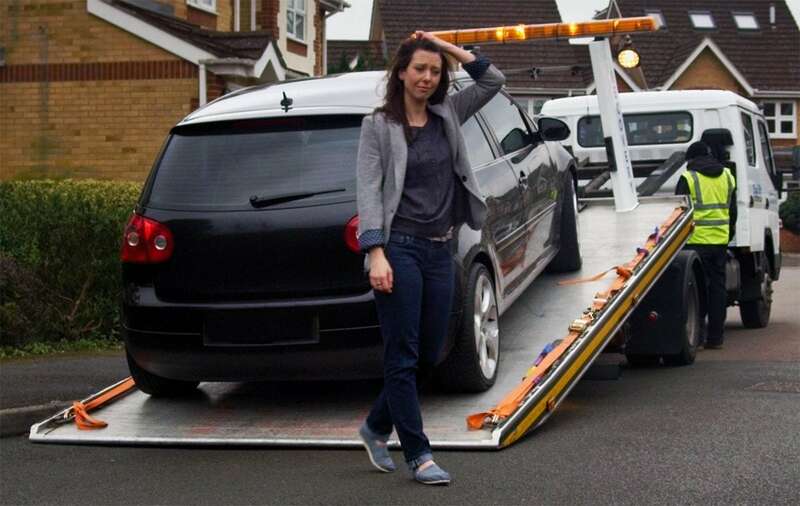 How to avoid getting your car repossessed? The best thing any owner can do is make your loan payments on time! If you are concerned about missing a payment, speak to your lender immediately. The lender may be able to reduce your payment amount or adjust your interest rate. Otherwise, in order to keep your car, you will need to consider additional income sources. You can always sit down with debt counsellors or industry experts. Discuss your situation with experts as they are best suited to help you plan a realistic budget and payment plan.